The naked truth is always better than the dressed lie. It is easier to believe a lie that you have heard a thousand times, than the truth that you have only heard once. Truth is different from reality. Reality is dependent upon the perceiver, while truth is what’s actually so about a given reality. Maybe to put it another way, reality can have many levels and dimensions of experience, while truth involves all the levels and dimensions simultaneously. Reality is perceived while Truth is known. Good Night Quotes On Truth, Good Night picture with big moon, tree and clouds. సత్యాన్ని అన్వేషించకు నీవే సత్యమని నిరూపించు. Truth is as liquid as the water that surrounds the continents! 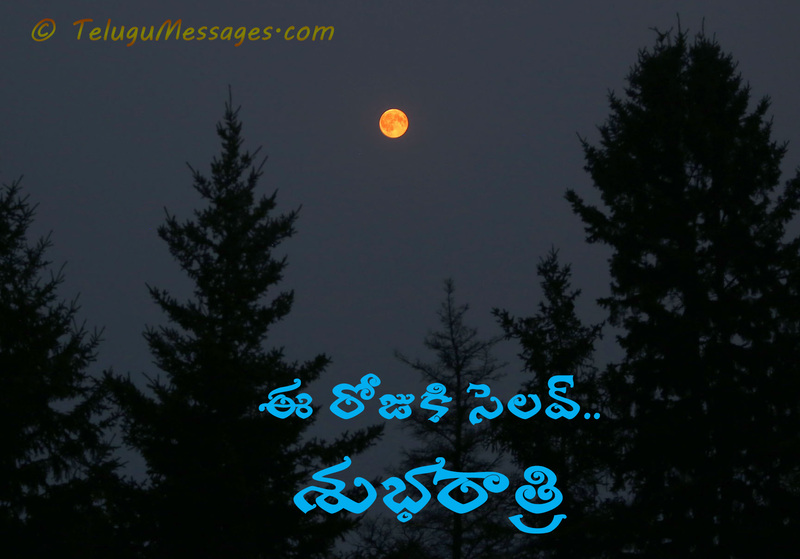 Good Night Telugu Greeting – Bye for the day. Hey Buddy!, I found this information for you: "Good Night Quotes On Truth". Here is the website link: https://www.telugumessages.com/2017/02/12/good-night-quotes-truth.html. Thank you.